The most trusted senior care services provider in Kolkata which includes emergency hospital services, ambulance facility, medical care, yoga therapy, home medical equipments delivery, home medicine supply, social care etc. 90% of Stroke patients are seniors and it happens due to mental and physical sickness. 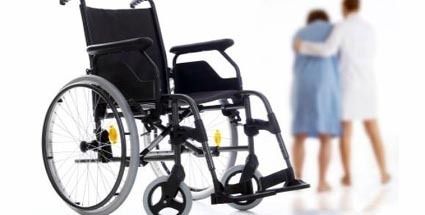 We at Rising Care, arrange the best methods for them to provide stroke rehabilitation. We belive that a proper rehabilitation can help immensely to a stroke survivors to maintain a health life. Our specialist drives with the series of rehabilitation treatment which helps to build strength and confidence. Our expert team help stroke patient to overcome the fear of driving motor vehicle etc and provides the strength to regain the skill. We teach self care which help them to become self dependent. We live with the world which is full of surprises and in this world we often get amazing surprises, some of them are good, but rests are unbearable. This could lead us to a dangerous disease where we may see the cases of suicides, psychological disorders, marriage problems etc. In case any of these problems we must consult with a professional psychological counseller and Rising Care exactly deliver the same in Kolkata, West Bengal. Arthritis is the common problem for all the seniors whose age is basically 65 or above. This problem arises from the joint of any part of the body and its spread the most of the body part. Aching, stiffness, puffiness are basic symptoms of this problem. Injuries, anomalous metabolism, Inheritance, infectivity, overactive impervious are the main reason of this problem. Rising care is one of the best senior home care centers in Kolkata who tries to give the special attention over this problem. They have knowledgeable and proficient group of doctors and health care team who always help patients to survive with this disease without any foremost change in their daily life. It is easy to deal with speaking problems for juniors, but what if we need deliver the same issue for seniors. Let me introduce, Rising Care occupies with some of amazing speech therapists which helps stroke survivors, mentally challanged elders and seniors who are suffering with the issue. Speech therapy is a medical science and a proven method by which one can get its speaking power back to the track. We are a dedicated aged care services provide, so we understand the elderly people in a better manner than any other team in Kolkata. Understand, you always need a professional solution mto avoid health issues.